Nifty Daily Chart: As we expected, Nifty reversed from the resistance level of 5872. 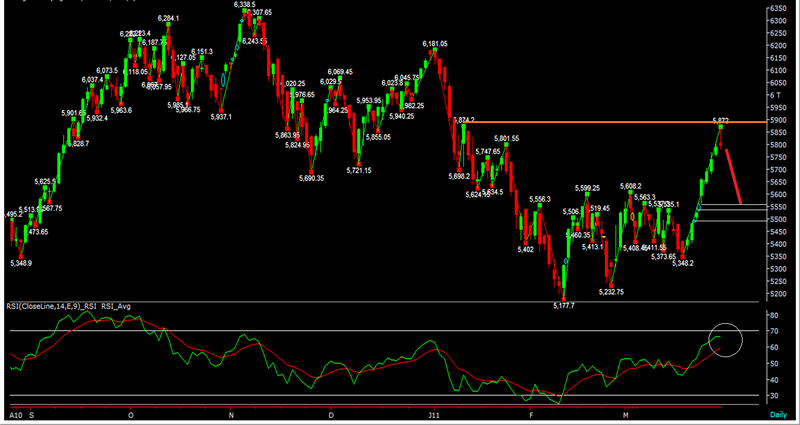 If Nifty manages to closes below 5875 then we can see further fall in Nifty over the days to come. RSI is turning its head down. Only Risky Positional Traders hold long in nifty, or keep a SL at 5740. 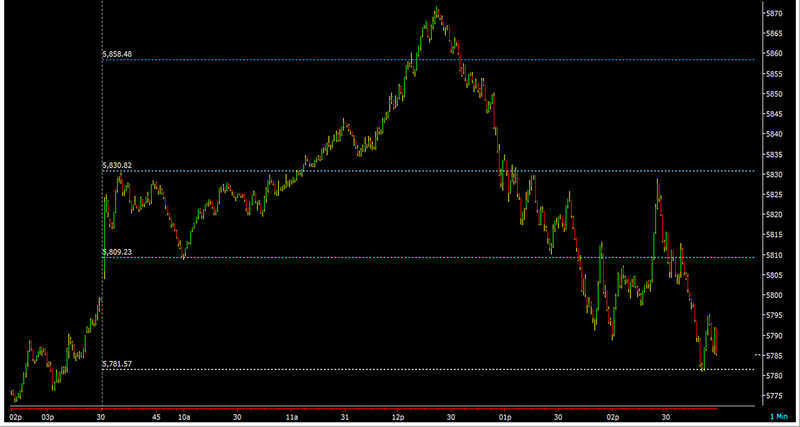 Nifty Intraday Chart: As we expected we see wild sings in the daily chart in the late afternoon session. On the chart we see sluggishness in the upside movement in Nifty. I think this will drag nifty further down in days to come.